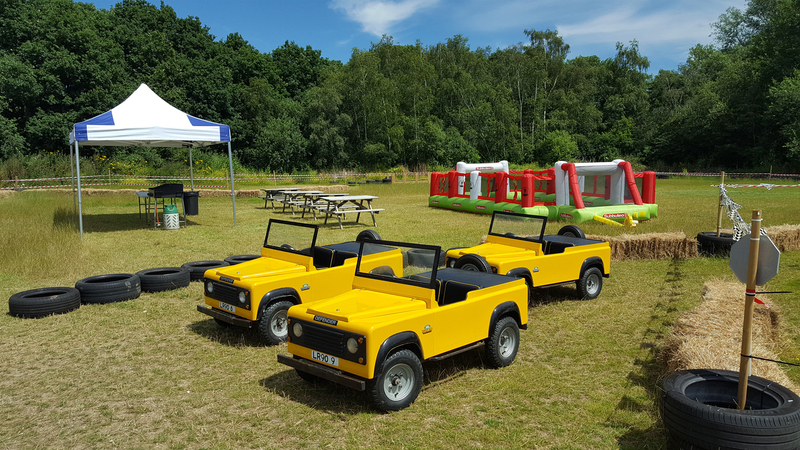 The jeeps are now available 12-5 everyday throughout the summer holidays and every weekend except in extreme weather conditions. They are also available to hire for a private party along with a subutteo inflatable football pitch and pirate inflatable obsticale course. Come & have a go. You must be <a href="http://dogandduckoutwood.co.uk/wp-login.php?redirect_to=http%3A%2F%2Fdogandduckoutwood.co.uk%2Fjeeps-are-ready-to-use%2F">logged in</a> to post a comment.